News - New Lemans and Daytona sinks - Reginox: the crown on your kitchen! 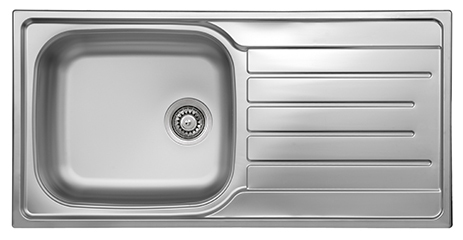 For February 2016 we have launched two brand new ‘entry level’ sinks. The Lemans & Daytona sinks are replacements for the Monte Carlo & Monaco sinks. The new designs are very contemporary with clean modern lines and elegant drainer profiles. Bowl depths and shapes are practical and aesthetically pleasing, prices are very competitive! We are very excited about these new additions.